The fight took less than three minutes, not requiring more than the time allotted for the opening round, and when it was over the UFC had lost one of its superstars. Highly decorated MMA veteran Alistair Overeem scored the TKO victory over Brock Lesnar in just 2:26, earning his spot in an upcoming UFC Heavyweight Championship fight with Junior Dos Santos. 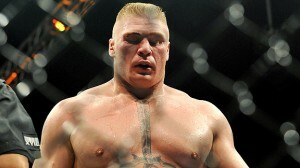 Immediately following the fight, Brock Lesnar announced that would be his final bout in the UFC. As it is not expected he will join another MMA organization, this appears to be the retirement from the sport all together from one of its biggest stars. This voluntary retirement by Lesnar allows him to exit on his own terms without any shame. Undefeated over the past 4 years and having won two Heavyweight Championships during that span for different organizations, Overeem is arguably one of the top two talents in the sport and was the favored fighter entering the bout. Due to complications with his diverticulitis, the Overeem fight was his first in fourteen months. In his prior fight in October 2010, Brock Lesnar lost the UFC Heavyweight Championship to Cain Velasquez. Just like the Overeem fight, Lesnar was TKO’d by Velasquez in the first round. With two straight losses on his record, Brock Lesnar may still be a hugely popular name, but not a top contender. 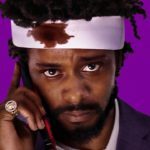 His future opponents would likely consist of veterans whose better days had past, such as Minotauro Nogueira or Fedor Emelianenko, or younger fighters looking to prove themselves. Heavily marketable potential fights certainly still exist. There is money left on the table for future card headliners, but the reality of the situation is that Lesnar would likely add more losses to his record before even getting into a position for another championship bout, and his superstar status would wane. Were Brock to lose in his next fight, that would put him into the three-straight-losses category, which typically gets a fighter released from their UFC contract. 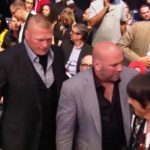 Though it’s unlikely that Dana White would release Lesnar or do anything to hurt the reputation of his cash cow, rumors would speculate about Brock’s uncertain status. On Friday Night, Brock Lesnar took his future into his own hands and decided that he would no longer be a UFC fighter going into 2012, leaving while his superstar status has some of its luster. Now the speculation can begin as to how soon he will return to professional wrestling.